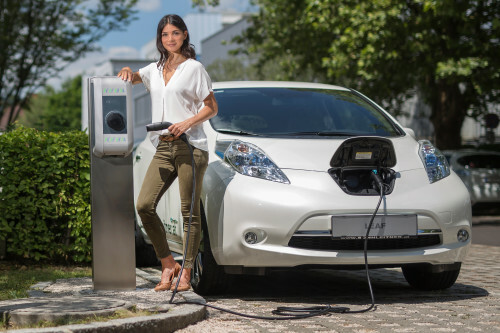 All newly installed home and workplace EV charge points that have received OLEV government funding must feature ‘smart’ technology from July 2019. What makes an EV chargepoint “smart” ? For an EV Chargepoint to be smart it must be able to be connected online using a network connection so it can be remotely accessed. It must also be capable of receiving, interpreting, and reacting to a signal so it can control the electricity supply to your EV when necessary. Why Do EV charging stations need to be smart ? The move is part of the UK Government’s Road to Zero strategy. Smart charging capabilities have the potential to dramatically reduce the load on the National Grid during peak times. This minimises the cost of charging for users, and helps to ensure there is enough power available from the grid for everyone who needs it. It also reduces the need for significant and costly infrastructure upgrades for the electricity grid network operators. How do I make sure the EV chargepoint I am looking to buy is smart ? There are already a number of smart home and workplace EV chargepoints available on the market. So there will be EV chargers available for customers looking for units from July 2019. Although not all manufacturers on the current OLEV Homecharge List offer smart units. Be sure to check the updated OLEV-approved to ensure that any EV charging stations due for installation after July 2019 are smart. OLEV is due to issue the specifications for smart chargepoints in January / February 2019. Following on from this it is expected that the authorised list will be updated to include only smart EV chargepoints. For workplaces, local load management needs to also be considered to ensure that the available power is spread appropriately between chargepoints. The KEBA KeContact x series can manage the load across 16 connected charging stations.